An elegant kiss for a Lady. 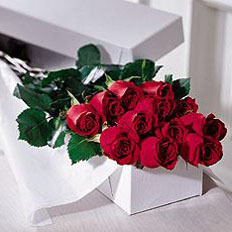 A traditional presentation of roses, this bouquet is the perfect gift to be sent at any time of the year. Or maybe you have a special date? This is an excellent idea to make your sweetheart happy - just order these classical roses bouquet and we will deliver it to Ukraine. Business or private occasion - any reason is good to send this classic bouquet. The best Ukrainian florists and couriers work for you since 1999.